Airbnb, founded in 2008 has provided us an alternative to staying in hotels, allowing people to stay in homes all over the world instead for short periods of time. The success of Airbnb has been colossal and the company has unveiled its new premises in Dublin in collaboration with architects Heneghen Peng. 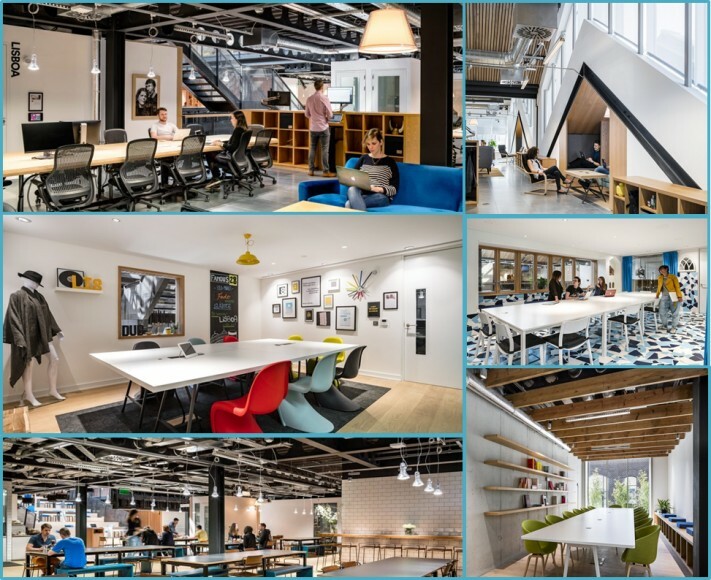 These are the first offices that Airbnb has created from scratch and they certainly bring the wow factor into the workplace. The design has dramatically transformed the disused warehouse which will soon be rolled out in offices across the world. The building boasts over 4000sqm and will house around 400 staff members. The architectural masterpiece was designed with the idea that staff will be able to find each other much more easily, with a neighbourhood effect. The building is made up of of 29 sections clustered inside the warehouse designed to a very high specification. Each neighbourhood is fitted the same with ample storage for personal items, a large boardroom table that encourages brainstorming, one or two sit stand desks, and a breakout area. Visit our product pages to find similar furniture from our selection of sit stand desks, boardroom tables and conference chairs. They say that sitting is the new smoking and we are becoming increasingly aware of the many benefits of height adjustable desks. Here’s a few: increased energy levels, productivity, collaboration and creativity. They also help to prevent a wide range of health problems and increase the burning of calories. Each neighbourhood also has a kitchen area with meeting rooms, designed in-house, and inspired by Airbnb clients from across the globe. The design provides the perfect balance of privacy and socialisation and encourages collaboration. The designs have been inspired from Airbnb clients from across the world including subtle details such as tiling and lighting features.The design also includes a unique staircase that also comprises of a working space too!